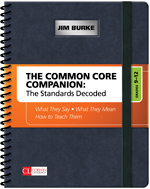 Enter Jim Burke with The Common Core Companion: The Standards Decoded. It’s that version of the standards you wish you had: a roadmap of what each English Language Arts standard says, what each standard means, and how precisely to put that standard into day-to-day practice across English Language Arts, Social Studies, Science, and Technical Subjects. How is that you can walk into a classroom and gain an overall sense of the quality of math instruction taking place there? What contributes to getting that sense? 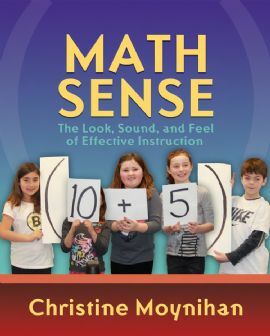 In Math Sense, Chris Moynihan explores some of the components that comprise the look, sound, and feel of effective teaching and learning. Does the landscape of the classroom feature such items as student work samples, a math literature collection, and a number line? 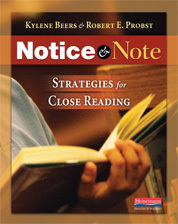 Do the lessons include wait time, checks for understanding, and written feedback? Do you feel a spirit of collaboration, risk taking, and a sense of pride? 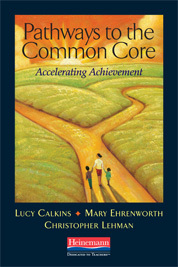 By now, most teachers have a shelf full of books, articles, and reports on the Common Core and RTI. But where’s the resource that addresses how the two fit together? Individually, the Common Core and RTI are formidable enough. Together, they create a “perfect storm” of challenges, with most teachers left wondering where to turn first. 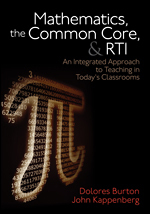 Finally, here’s a guide that distills the central elements of the Common Core and RTI into a single, manageable resource that provides strategies for serving all students.